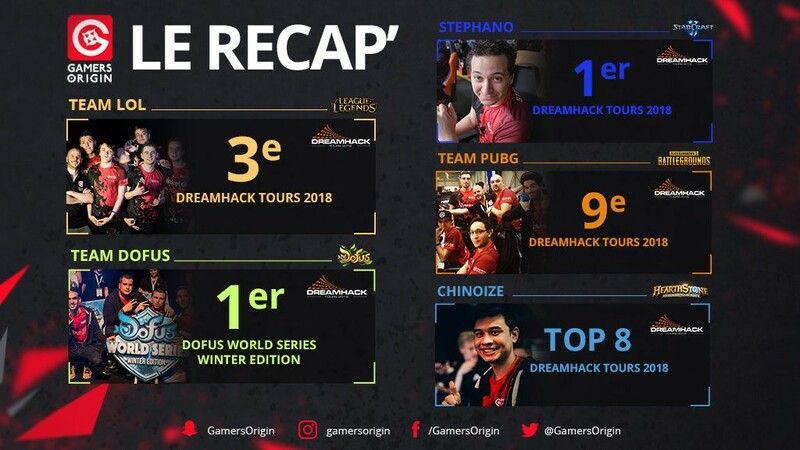 The 2018 DreamHack Tours is now over and GamersOrigin teams can finally rest after 3 tense and exhausting days. The tournament was held in the city Parc des expositions instead of the Vinci Center as it was during previous editions. During Friday, we discovered the new venue and tried all the setups. The tournament was supposed to start on Saturday morning. However delays were caused by technical issues and the internet connection was not apt. Every tournament suffered those delays except the Hearthstone one. It eventually started hours later with crashes and remakes all the weekend, but it did not prevent Stephano from winning the Starcraft II tournament without a single map dropped. 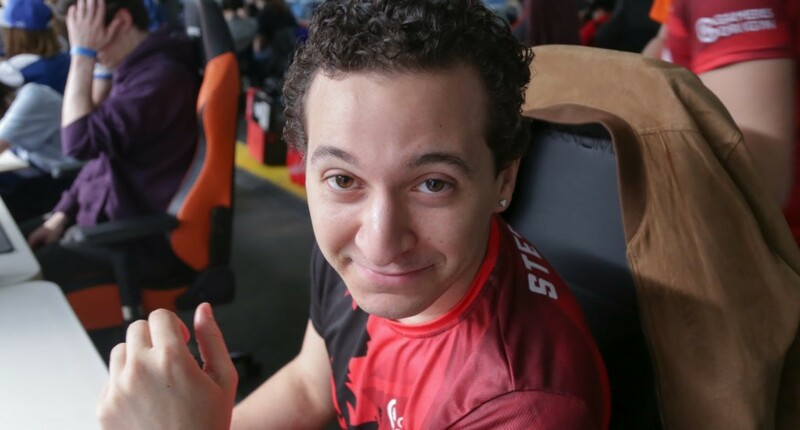 He is now focusing on DreamHack Austin WCS event, which will be a total different competition. 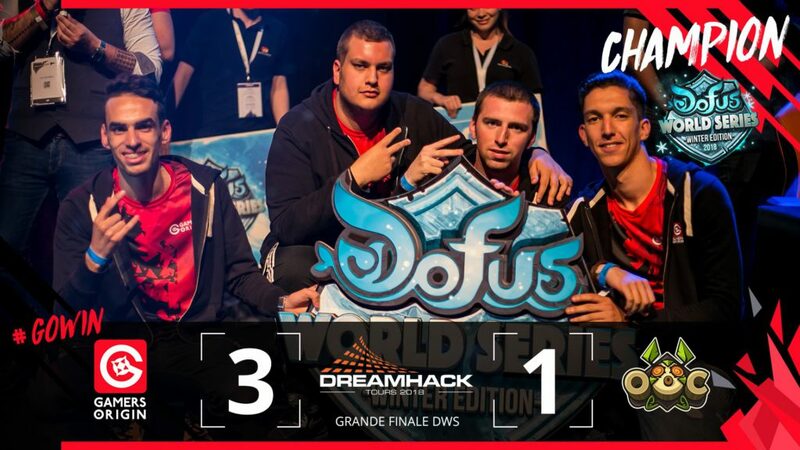 Dofus World series chose Tours for their live final, and they were affected by the internet issue too, despite being held on the main stage. Our boys started their final against Out of Control several hours later than scheduled. GamersOrigin players handled pressure very well, and despite a loss in game 1, they overcame OoC 3-1. They mastered their slow and tactical playstyle during this season last game, with a Iop – Ecaflip – Sacrier team comp . Concerning PlayerUnknown’s Battlegrounds, Saturday was a perfect day for us with two games finished at #1 and a Top 1 at the leaderboard. Unfortunately Day 2 didn’t go so well with a Top 9 in the elite bracket at the end of the event. We want to thank Nahimic for being our sponsor since the beginning. Our team is actually in their office until Friday to train for Geek Days Lille. The Hearthstone competition was a Grand Prix with 232 players from all around the world. Un33d, Den and Fishou failed during swiss rounds while Chinoize made it to Top 16. He defeated Zhym and then lost to Scruffy in quarterfinal. Finishing in the Top 8 of a major is a great achievement for our Belgian player who earned HCT points. 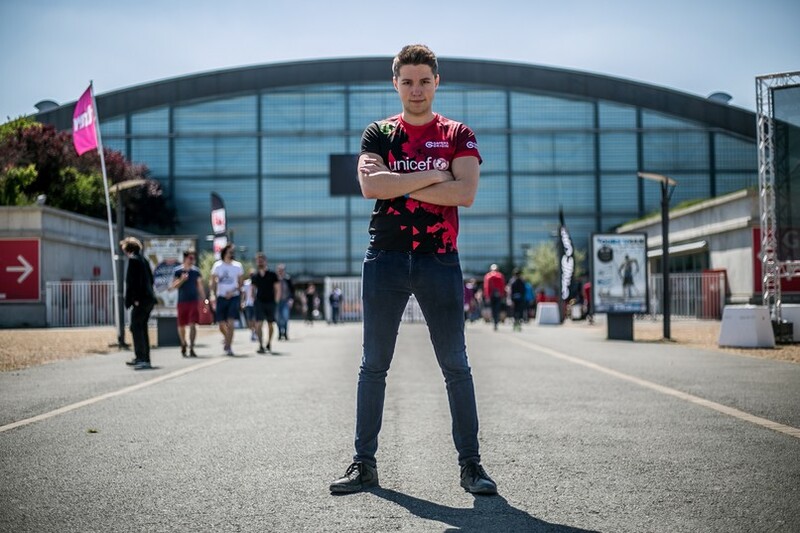 The LoL Open Tour made a stop in Tours this weekend, and we were ready to perform after the European Masters. 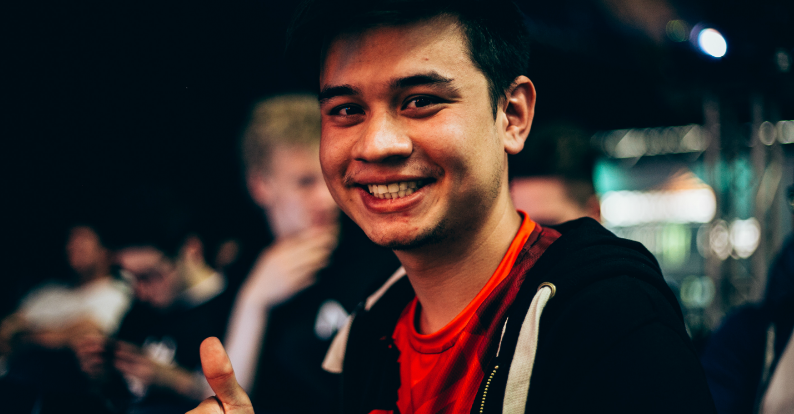 Group stage was not a problem for GamersOrigin, the true competition began in the bracket against Millenium. GO won 2-0 and faced Vitality Academy. Many hours of daly interrupted the game, and we eventually lost 2-1 to the bees. A victory against Solary allowed us to continue in the loser bracket and to rest after a very long day. Sunday morning began with a win against Millenium. Then, we face Gentside for a slot in final against Vitality. We lost against Gentside and were out of the tournament with a third place. We are determined to work hard and to come back stronger in Montpellier in June. We warmly thank our partners Ouibus and Scoup Esport for driving us to the venue and for providing everything we needed to play in the best conditions. 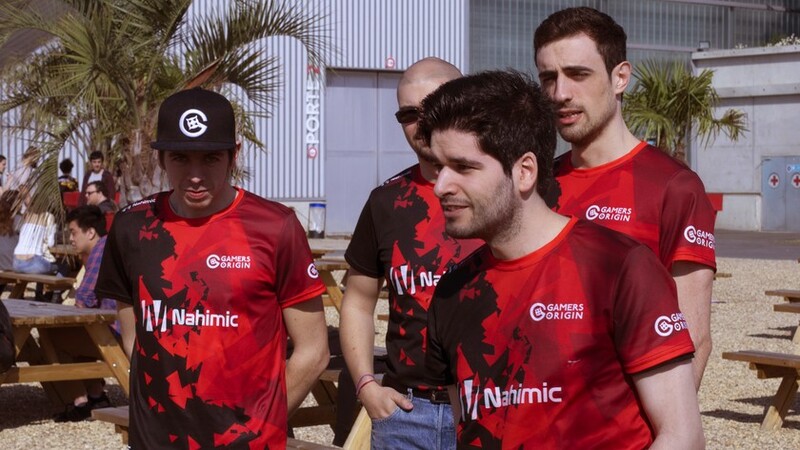 We also thank our supporters for their incredible support: see you at Occitanie Esport #GOWIN !